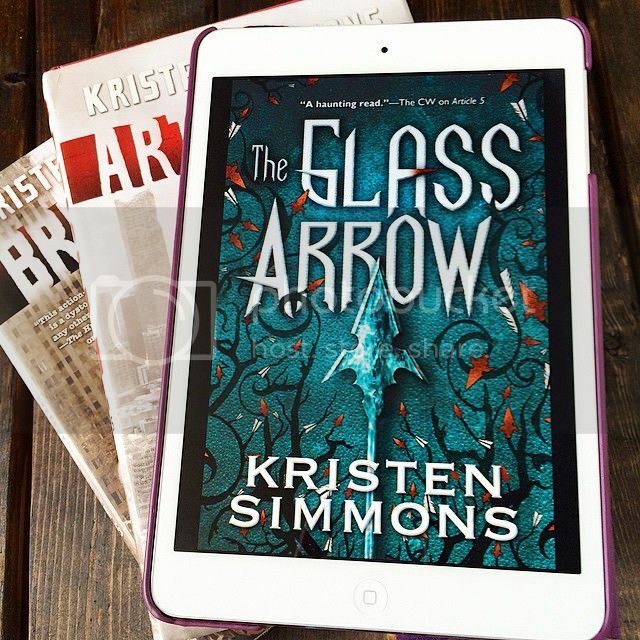 I was really looking forward to reading The Glass Arrow, as I am a super huge fan of Kristen Simmons’ Article 5 series. I absolutely couldn’t wait to see what adventure she was going to come up with next with this new release, and I definitely wasn’t disappointed. The main character in the story, Aya, is a rebel in her own right. Having lived in the wild all her life made her fearless and daring. She was not willing to conform to anything that society tried to make her, and took every chance she could to try to escape. All she wanted was to escape the city and get back to her family in the wild, and she is willing to do whatever she has to do to reach them. While there were a few times throughout the story when I wanted to shake her for the decisions she made, I was really rooting for her throughout the story. I wanted nothing more than for her to escape this horrible world in which she was thrown into. There are quite a few characters in the story that you’ll love in an instant; Brax and Kiran being two of my favorites. Then there are characters that will grow on you over time. But there are also some characters that you are going to hate with a purple passion throughout the whole entire story. The world-building for this book was both unique and completely terrifying. Imagine living in a world where a girl has not rights at all, not even her body is her own. Imagine being put up for auction and sold to the highest bidder just to be a breeding instrument to boost the male population. And if you go against the rules of the city, you are punished in the worst ways possible. Some parts of the story were super hard to read, as they were so insanely terrifying. This is the world that exists in The Glass Arrow. It was definitely interesting, and the suspense was pretty intense as I flew through the pages. I also like that this book is a standalone novel as well, so everything came together pretty nicely in the end of the book. 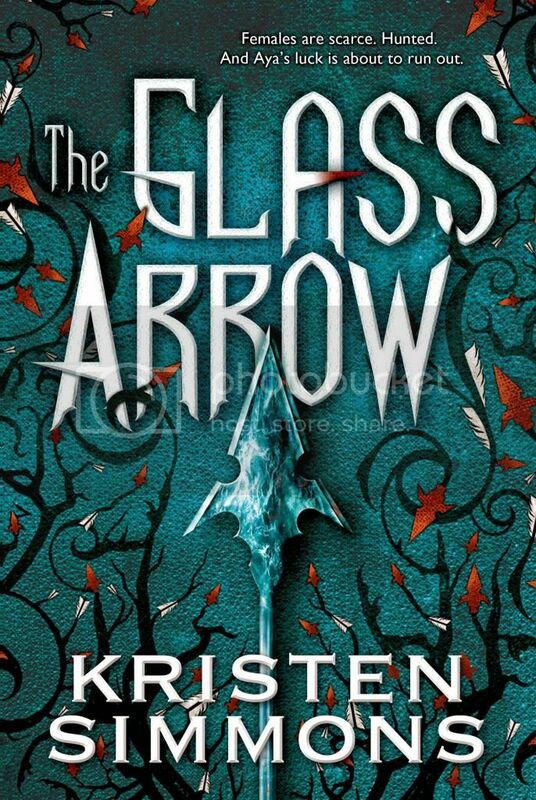 Overall; I thought The Glass Arrow was a really interesting novel. It’s always interesting when an author starts a new book or series, and it’s completely different in every single way from the worlds they’ve created before. I’m really excited to see what Simmons’ will come up with next! The world does sound terrifying - definitely not the kind of place you want to live! Glad the novel was an interesting read! Wow, what a crazy but very interesting premise! I haven't read any of Simmons other books, so I'm really curious about this one. OOoh nice!! Been seeing mixed things on this one but the general consensus seems to be pretty positive!! I may need to get me this one soon! Great review!